Picture this: You’re walking to your car from your office and you run into an old colleague. It’s a bright and sunny day, the temperature is about 92°F. The sun is beating down on the two of you so you decide to cut this trip down memory lane short because, well, the sun is beating down on the two of you. Wouldn’t this story seem more pleasant if only you both were standing under a covered walkway? Of course it would! No one really enjoys the sun beating down on them or rain falling down on them or snow or hail. Aluminum walkway covers eliminate being caught in these inclement weather situations. 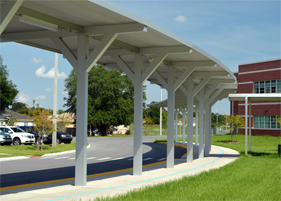 Even more importantly, covered walkways protect us from the sun’s harmful UV rays. As you probably know, UV rays are very dangerous and are a major cause of skin cancer. Perfection’s aluminum walkway covers can withstand high heat, gusty winds, snow and heavy rains. 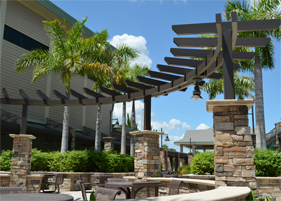 They are also a great value when compared with traditional brick-and-mortar covered walkways. Aluminum walkway covers cost only a fraction of the price of brick-and-mortar ones. Another point of consideration is their adaptability. Aluminum walkway covers can be torn down much easier than brick-and-mortar walkways and the aluminum can be recycled should a business’ needs change. Perfection Architectural Systems offers anodized aluminum, a process that makes aluminum stronger, more durable and able to retain dye colors without corroding, chipping or peeling. 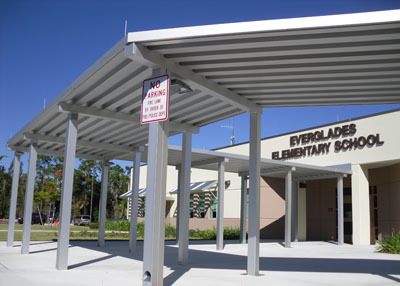 Designed by highly trained structural engineers, aluminum walkway covers are custom-designed to fit the specific aesthetics of your building and its natural surroundings. Not only sturdy and visually pleasing, Perfection’s walkway covers add an inviting element to your building by offering pedestrians a more enjoyable walk to and from your place of business. Perfection’s maintenance-free walkways bring long-lasting value, quality and beauty for every business and building type. 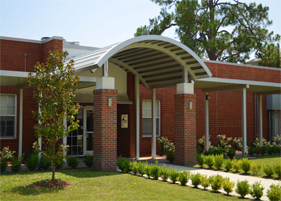 Considering adding an aluminum walkway cover to your place of business, but are unsure of what type you need? 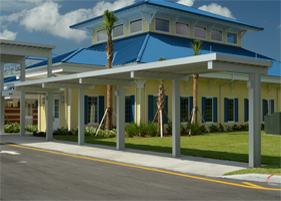 Call Perfection Architectural Systems at 800-238-7207 and let us help you with your project. Copyright © 2012 Perfection Architectural Corporation, All Rights Reserved.